Anchorage of a subset of cell surface proteins in eukaryotic cells from yeast to mammals is mediated by a glycosylphosphatidylinositol moiety covalently attached to the carboxy-terminus of the protein moiety. Experimental evidence for the potential of glycosylphosphatidylinositol-anchored proteins (GPI-AP) of being released from cells into the extracellular environment has been accumulating, which involves either the loss or retention of the glycosylphosphatidylinositol anchor. The structural and morphological diversity of the configurations of released GPI-AP is reflected in the multitude of different structures and molecular mechanisms underlying the release. Release of the GPI-AP may occur in a spontaneous fashion or be regulated by certain endogeneous or exogeneous signals, or environmental stimuli. The putative functional and (patho)physiological implications of the diverse modes of GPI-AP release are presented with an emphasis on the structures and configurations involved as well as the underlying molecular mechanisms. In addition, the potential relevance of GPI-AP release as innovative biomarkers for disease prediction, diagnosis and stratification as well as novel vehicles for drug delivery are discussed. Moreover, the mere description of the release of GPI-AP from cells using modern instrumentation in the absence of any knowledge about the underlying causal (molecular) mechanisms may be regarded as an example for so-called “hermeneutic phenomenology” within molecular life sciences. The three-step study procedure should be based on a known, minimal and carefully considered bias rather than on a strong working hypothesis. This study should lead to a mere database rather than to a narrative justification of the experimentation as well as to a subsequent minimal interpretation of the database rather than on causal mechanistic explanations and speculative working models, which are typically presented in scientific publications. 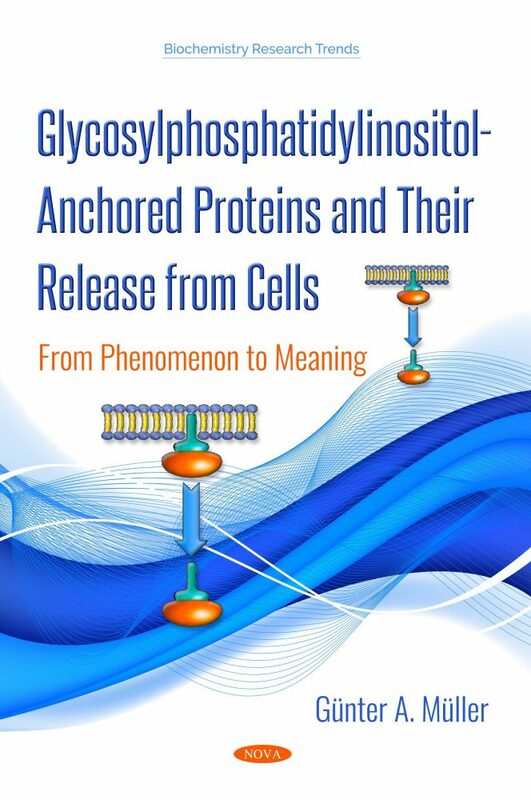 Thus, the book does not only represent a state-of-the-art compendium about the biology and (patho)physiology of GPI-AP, in general, and their cellular release including potential biomedical and biotechnological applications, in particular, but also introduces a novel concept for molecular life science research. The final goal of “hermeneutic phenomenology” represents the careful, respectful and cautious path from the pure description of the life phenomenon of interest to its meaning. Since research about GPI-AP involves a multitude of disciplines, this book will be of interest to biochemists, cell biologists, structural biologists, molecular biologists, geneticists, pharmacologists and medicinal chemists as well as to those researchers found at the interface between natural sciences (biology) and human sciences (philosophy). –The author hopes that this book may stimulate a transdisciplinary exchange between them. The manuscript will be of interest for basic and clinical researchers (biochemists, molecular biologists, geneticists, biotechnologists) engaged in the areas of membrane proteins, in general, and biomarkers, secretory proteins, serum proteins, in particular.